The idea for this book has been bouncing around in my brain since I learned mindfulness by accident over 20 years ago. My life changed rapidly for the better. Since then, I’ve explored a wide range of spiritual practices, on four continents. Most can be traced back to Buddhism, Taoism and the Vedas. What I noticed was that every practice that improves our lives involves letting go. I say “latest version” because there have been two previous ones which I’ve tested on individual readers, and in workshops. The earlier versions enabled me to find out what people found most useful and/or interesting, as well as the material that needed to be reworded, to make it clearer. Our next step is to show it to publishers. 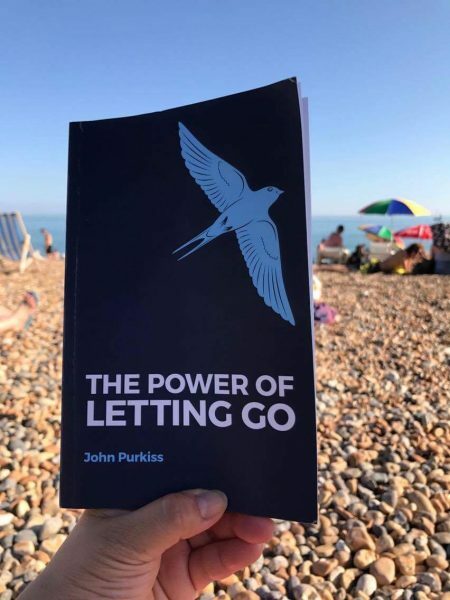 If you would like to be notified when The Power of Letting Go is published, please register using the form below. *It’s 33,000 words, which is 10% longer than Animal Farm, one of my favourite books.